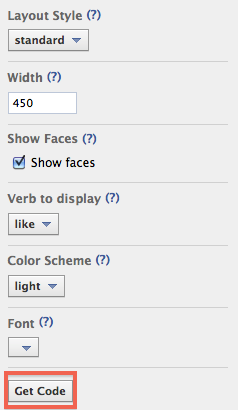 There are many ways to add Facebook Like Button to a form. You can add it as an iFrame within a "Free Text(HTML)" field or retrieve the full-source code from the "Embed Form" wizard and add the Facebook code. We'll go with the easiest method to add our Facebook Like Button by using the "Free Text(HTML)" field. 2. 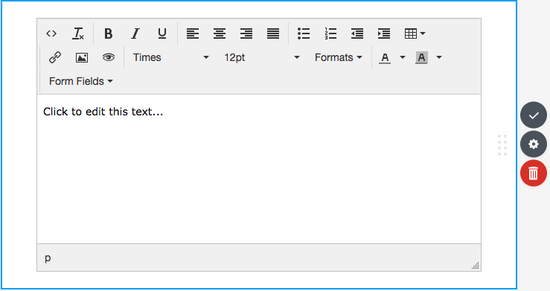 Edit the text inside the "Text" field. Write something that you want for your friends, family, or customers want to see. 3. Go to preview mode by clicking "preview" button and copy the whole URL for your form somewhere(notepad, text editor, etc.). 4. Go to Facebook developers page for the Like Button here. 5. Scroll down a little bit until you see "Step 1 - Get Like Button Code". 6. Fill in "URL to Like" field with the URL code you've got in step 3. 7. This step is important and shouldn't be missed. Uncheck the "Send Button(XFBML Only)"
8. You can play with the other options if you like but we left it as it is. When you're ready click "get code". 9. When the wizard opens, go to the IFrame tab. 10. Copy the code and click the "Okay" button. 11. Go back to the form builder and open the "Text" field and copy the code there. 12. 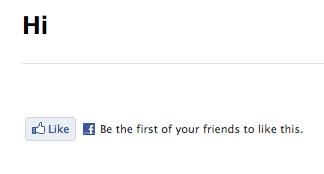 Click "Preview" and check out your Facebook social plugin in action. Now that you've learned how to add a Facebook Like Button to your form start sharing it with the world. Did you find this article useful? If not, please tell us what you think in the comments below. How do you make this button mandatory before submitting the form? which to be added in like plugin url - fb or website? I can put some HTML tags, but not all. It seems IFRAMEs are no longer allowed? I followed all the instruction and cant get it to display, please help me with this. Can this still be used. Thanks everyone! Is there anyway to get the Like box (or similar) to work in a custom Thank You screen? When I put the iframe code in using the HTML editor, it gets cut out when I save it. Thanks! How to add a comment form to my site? I couldn't find this info in the user guide. Hello.. am trying to add the facebook like button to my form using the free text field. 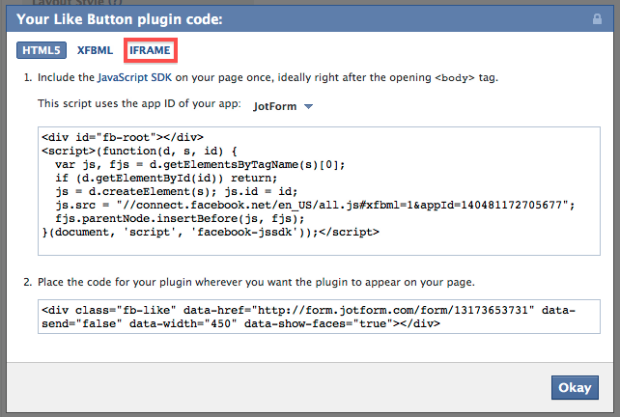 But the iframe code generated from FB keeps disappearing after i past it in the html tab and update. How do I resolve this please. How do I make check boxes and radio buttons look more like buttons?